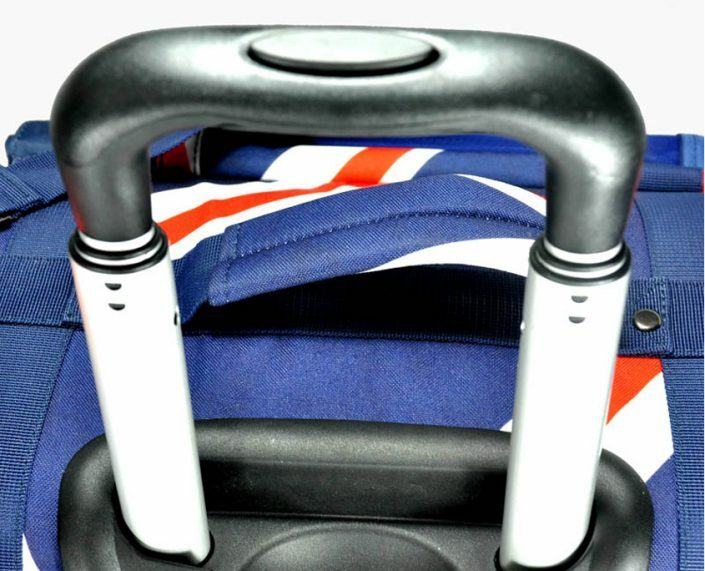 The luggage pull bar is designed based on both utility and safety. 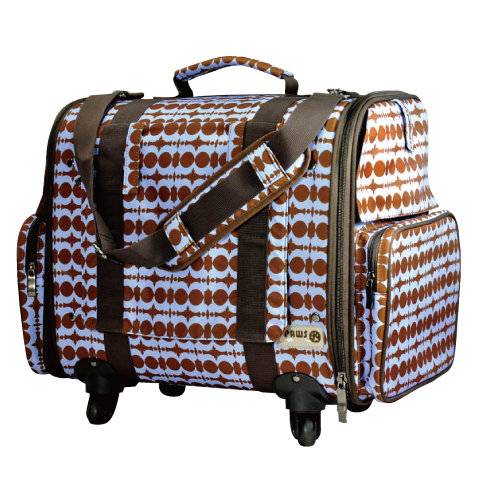 The light-weighted materials give a pleasant using experience. 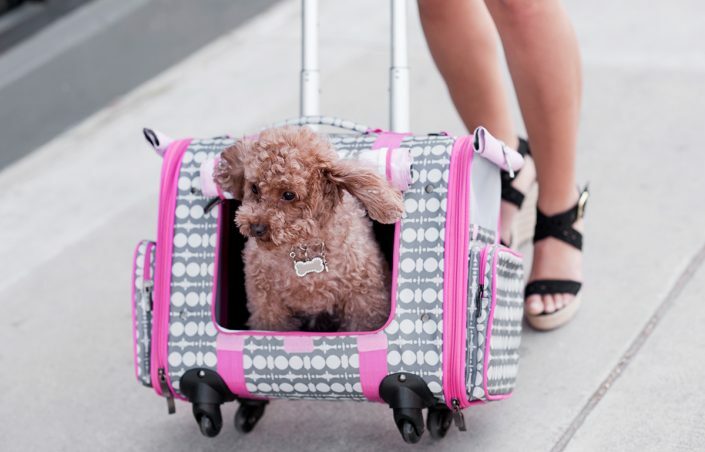 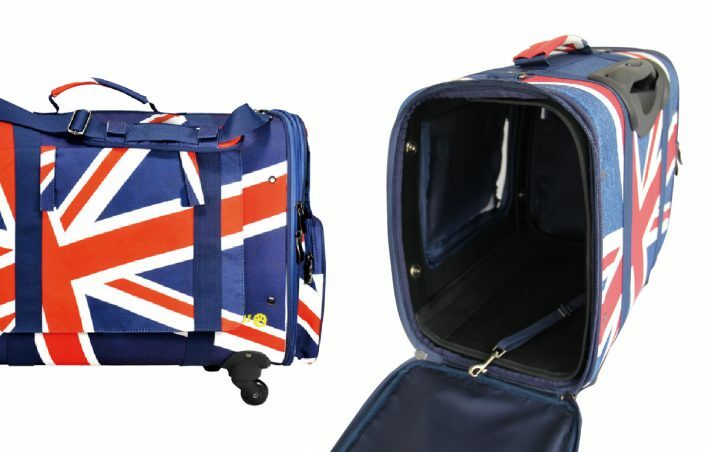 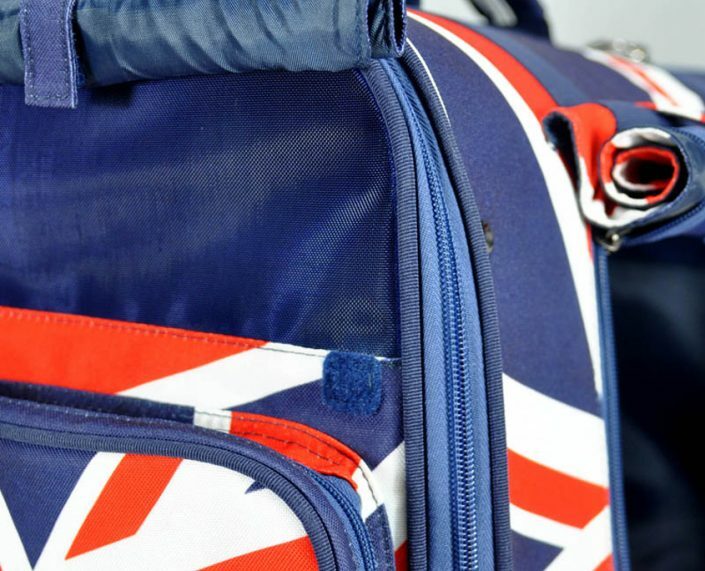 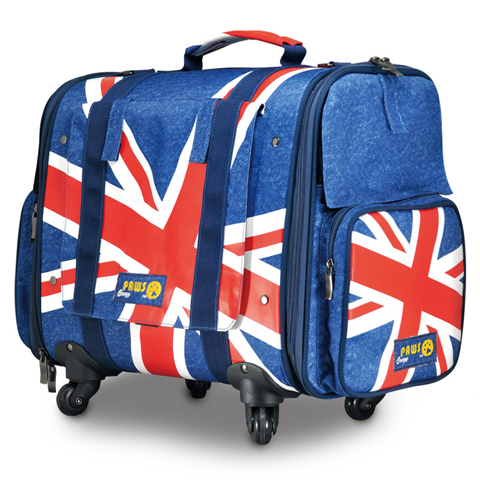 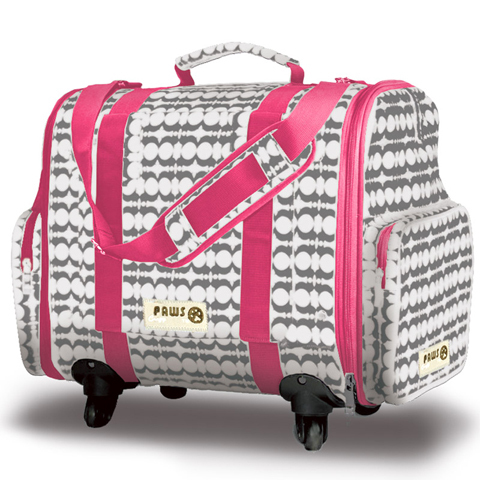 With the British flag pattern this carrier is not only convenient but also fashionable. 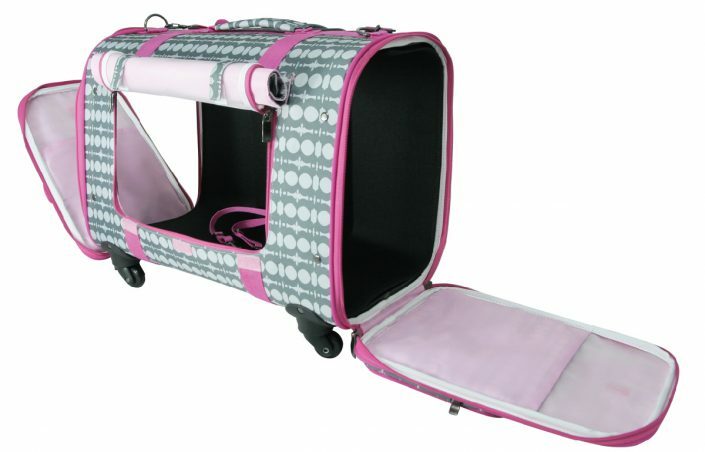 Safe, easy and stylish in one mobile carrier. 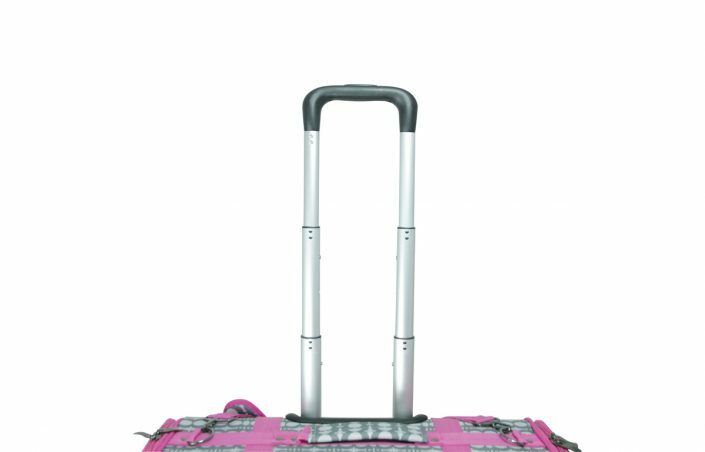 The luggage pull bar design along with light-weighted materials makes this carrier efficient and user-friendly. Be the focus with your pets!